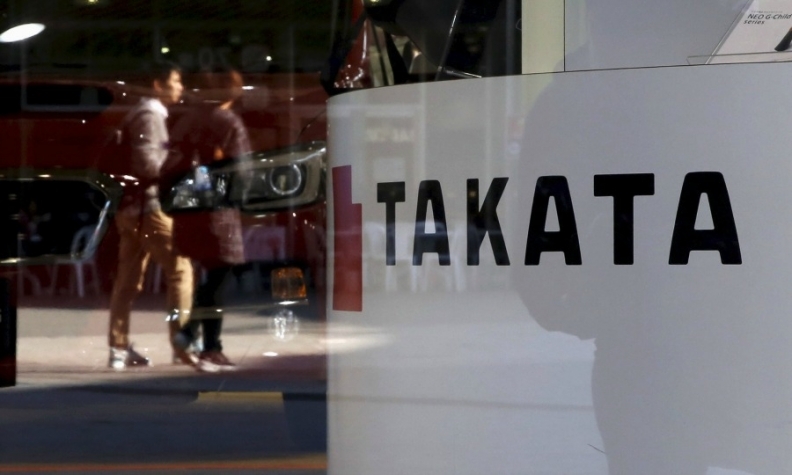 TOKYO -- Toyota Motor Corp. said it was recalling a total of about 490,000 vehicles in Japan, China, Europe and other regions over potentially faulty airbag inflators produced by Takata Corp, further widening a massive global recall. Automakers are ramping up recalls of Takata airbag inflators after the supplier, under pressure from the U.S. government, agreed last month to declare more of its airbags as defective in the United States. Toyota's latest recall covers passenger-side airbags produced by Takata which use ammonium nitrate to inflate the airbag, and do not contain a drying agent. These have been found to explode with excessive force in hot, humid conditions, and have been linked to more than 100 injuries and 13 deaths worldwide, mainly in the United States. Toyota is recalling around 45,000 Lexus IS model vehicles produced between 2005 and 2011 for the Japanese market, and will withdraw a total of around 140,000 Lexus IS, ES, and GX models from roughly the same production period which were marketed in China. The same Lexus models will be recalled in Europe, along with Toyota 4Runner SUVs and Corolla compact models, making up a total of 80,000 vehicles also produced around 2005-11. In Mexico, Toyota is recalling 100,000 vehicles including Corollas, Sienna minivans, and the Yaris subcompact model, while a total of 120,000 vehicles from both brands will be withdrawn in South America and other regions, the company said. Facing ballooning recall costs and lawsuits over its faulty airbags, the embattled parts maker is in bailout talks with a number of potential investors including private equity firm KKR & Co., Reuters reported last week. Last week, automakers recalled more than 12 million vehicles in the U.S. over potentially defective Takata airbag inflators. Toyota has recalled more than 17 million Takata air bags globally since recalls began in 2008.